If you’ve hung around the blog for a while, you probably know that I lost my Dad when I was 21. For that reason, Father’s Day is always sort of bitter sweet. We usually visit Dad’s grave and clean it up a bit for the holiday, and that helps. Another bright side is that my husband’s father, my father in law, is a really sweet guy. We don’t see him as often as we’d like, but I enjoy his company and I see no reason why I shouldn’t celebrate him on Father’s Day! 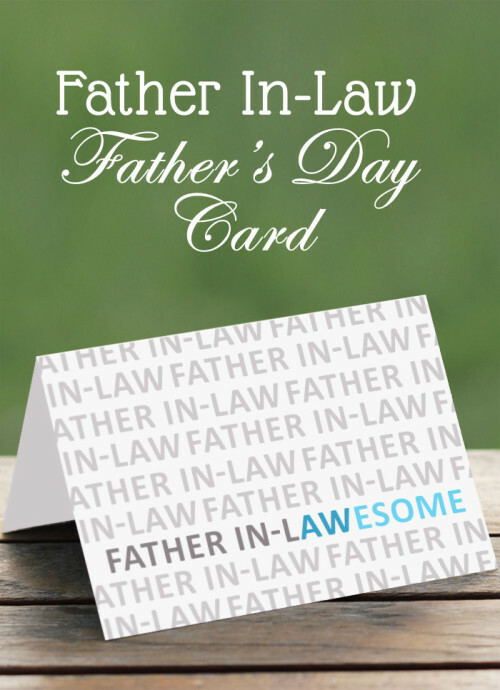 Trouble is, there are plenty of “from the both of us” cards I could get him – but nothing specifically from Daughter-in-law to Father-in-law. 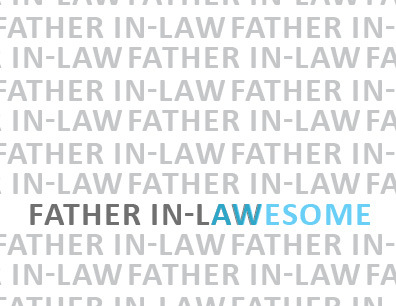 Last year I made this off-beat father in law card and this year I am sharing it with you! Check it out! I made the card as a postcard, and also as a folded card. There aren’t really any instructions… just right click>”Save link as…”, then print two sided and cut it out! Its easy, it is sweet, and I hope your FIL loves it! My heart goes out to all of you who are missing your Father’s on Father’s Day this year, but hopefully we can all find a little joy in the fathers that remain in our lives. Grandpas, Fathers in law, husbands, sons. Let’s celebrate them all! 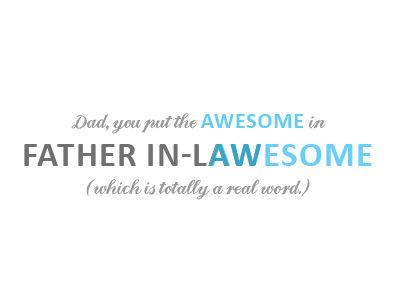 And for those who still have their Daddy to celebrate – please give him an extra kiss this year from me! Such a great card!! Love it!